Weather patterns and temperatures vary across the country but generally, the best time to visit Japan is spring (March & April) or autumn (October & November), when days are sunny and dry. During the summer months (May to September), the cities are hot and humid, with heavy rainfall occurring across the country in June & July, except for Hokkaido. In winter, days are cool and crisp, with heavy snowfall in Hokkaido and the Japanese Alps. 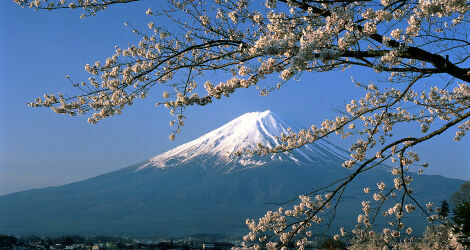 Japan is a year round destination, with four distinct seasons that offer something for everyone. Skiers and snowboarders in search of the perfect powder stash are drawn to Japan’s mountain regions during winter, which also attract hikers during the summer months. Further south, the beaches of the southern islands are also busy during summer thanks to high sea and air temperatures. In spring and autumn, pleasant temperatures combine with the natural beauty of ‘sakura’ (cherry blossom season) and ‘koyo’ (autumn leaf viewing) to make these seasons an especially popular time to visit Japan. Japan's northernmost island, Hokkaido is cooler than the rest of the country with temperatures reaching as low as -8° during the winter months and peaking at 25°C during summer. 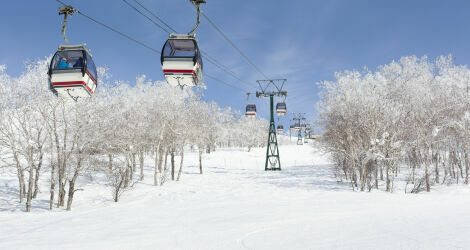 Weather conditions in the winter are affected by the island's proximity to Siberia, with cold winds that bring significant snowfall - essentially perfect conditions for winter sports. The snow begins to melt as spring arrives in the north and bright sunny days make spring an ideal time for hiking and exploring the island's National Parks. The famous cherry blossom finally makes an appearance in May. As the rest of Japan experiences humidity and rain during the summer months, Hokkaido enjoys pleasantly warm and sunny days, and so the hiking season continues. The island also avoids the typhoons that pound the southern islands during Autumn months when days are typically crisp and dry, and by mid-September Hokkaido is the first place in the country to experience the famous autumn colours. Located just off the southern tip of Honshu, the islands of Shikoku and Kyushu enjoy similar temperatures to the southern Honshu regions of Kyoto and Hiroshima, ranging from 5°C during winter to just over 30°C in the summer months. Winters tend to be fairly mild and by the beginning of April the cherry blossom advances through the islands, making its way northwards. 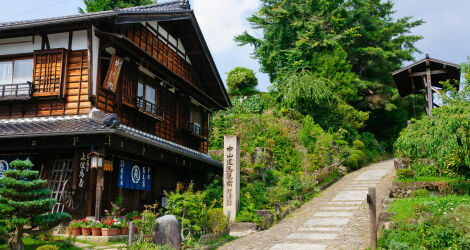 Spring and summer are an enjoyable time to visit Shikoku and Kyushu when temperatures are pleasant and days are generally sunny, although tropical rainfall can be experienced in June and there is a chance of typhoons as the summer turns into autumn (August – September). Once the typhoon season has passed, autumnal days return to dry skies and comfortable temperatures. Weather conditions and temperatures vary across Japan's main island of Honshu. Northern Honshu and the Japanese Alps experience cooler temperatures (avg temp: 0°C) and heavy snowfall during the winter months, whilst the southern and western regions have milder winters (avg temp: 4 - 5°C) but are prone to hot and humid summers, especially in the main cities of Tokyo, Kyoto and Osaka with temperatures pushing the mercury up to 35°C on some days. June is the wettest month of the year across Honshu, with tropical showers occurring until early July. In terms of temperature and weather conditions, spring and autumn are typically the most pleasant times of the year to visit Honshu. During April, the cherry blossom advances from Hiroshima, in the south, to the higher altitudes of Takayama and the Japan Alps by the end of the month; and conversely, the autumn colours work their way down from the mountains in early October to Kyoto and southern regions by late November. Okinawa and Japan's southernmost islands enjoy a subtropical climate throughout the year, with temperatures that never dip below double figures, infact rarely dropping under 20°C. 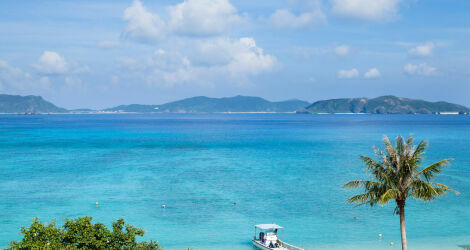 During the winter months Okinawa experiences the country’s mildest temperatures, although sea temperatures are chilly and only the hardy venture into the water. Come March, spring is definitely in the air, heralding the arrival of the famous cherry blossom, with Okinawa and the southern islands the first place to catch this much anticipated season. Although the months of May & June see tropical rain, it comes in the form of short, sharp bursts and conditions are good for diving. Summer days are typified by high temperatures and maximum sunshine, making it a popular time to visit the region's beaches, although as summer progresses there's more chance of typhoon, with August and September being peak typhoon season. Typhoon season passes as autumn progresses and autumn days are warm and dry. Not officially a festival but certainly a time of celebration. March - May. Get a deeper understanding of this extraordinary country by tucking into Tokyo's streetfood, visiting a samurai fortress, exploring shrines and trekking through jawdropping scenery on our Essential Japan holiday.